We are now 3 films into Disney’s stewardship of Lucasfilm and the Star Wars universe. Each fan who was raised with the films, comic books, novels, and endless parade of merchandise have our own vision of what Star Wars is. As we go deeper down the path Disney has chosen, there is a mix of excitement and disappointment, depending on how close to our personal vision the new films are. Some friends have mentioned wanting more adult stories, perhaps even venturing into R-rated territory. Then, I look at the children wearing their Darth Vader t-shirt and talking excitedly about Jedi, X-wings, and other elements of the world. These children anticipate the next journey to a Galaxy far, far away. This begs the question of who Star Wars belongs to. To children? To forty-year-old fans? To casual fans who just want a fun ride? 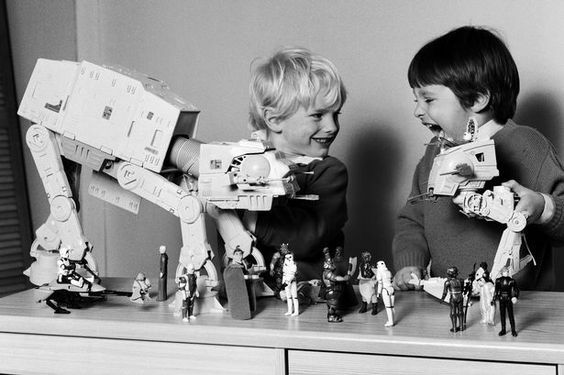 To me, Star Wars sits in a space between adulthood and childhood where wonder is possible. It is about a mix of fun mixed with suspense. It is about swashbuckling space adventure, with splashes of The Force and philosophy mixed in. So, where does The Last Jedi fit into this vision of Star Wars? It has all of the above, and does most of them well. The first time I watched it, there were many great moments where my eyes got big and I bounced in my seat with excitement. As I left the theater, I wanted to zip around and pretend I was in an X-wing (though, this is not completely unusual behavior for me). But, the next day, as my excitement settled, cracks spread in my thoughts on the movie and I started to see the fissures in the story and the places where it sagged. On my second viewing, some of these fissures were filled-in as I saw more in the story that I had missed. While I liked it more the second time, it shouldn’t take two viewings to decide if I like a movie or not. I love The Force Awakens. I can’t bring myself to watch Rogue One again. I love certain parts of The Last Jedi, but there are enough flaws to drop that enthusiasm to merely liking the film. Below, I go into depth about what I loved, what perplexed, and what could have been far, far greater. Setting aside questions of why the autopilot isn’t working, both times I saw the film, the entire theater went silent as Admiral Holdo, the toughest purple-haired commander, flew the Mon Calamari cruiser into the middle of the First Order’s dreadnaught. The split-second of silence followed by the roar of the explosion was just great filmmaking. It allowed the breathing space for a moment of awe and awesome. The major theme of The Last Jedi is “Don’t get cocky” (more on this later). Toward the end of the film, Rey is out of her element as she goes to try to turn Ben/Kylo to the lightside and Snoke is toying with her. Then, when Snoke is gloating about how he knows everything and can read everyone’s mind, Ben/Kylo splits him in half with the Force and a lightsaber. It is an unceremonious, surprising, and spectacular way to murder The Emperor 2.0. Followed by a freaking awesome lightsaber battle as Ben/Kylo and Rey fight side-by-side against Snoke’s guards. Part of what makes this lightsaber battle great is it uses lightsabers like lightsabers instead of swords (also, lightsaber – so I can get the word lightsaber one or two more times into this sentence about a lightsaber battle). When we started the film, we didn’t think we would have our hero and villain fighting together, nor did we think we would cheer on these two being on the same side. Now, we’ve been taken on a journey and this part is a spectacular climax to Kylo and Rey’s journey from the end of The Force Awakens to this scene (again, more on that later). 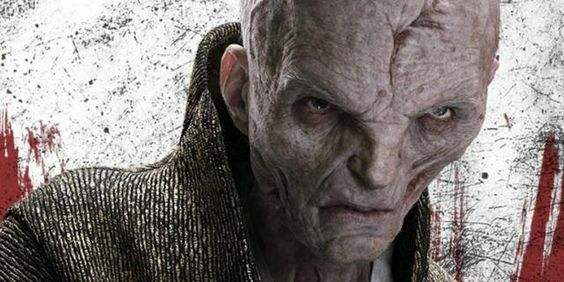 Killing Snoke also places us in great uncertainty for Episode IX. Kylo Ren is now controlling The First Order, but we have seen the hint of good in him which could undo all he has begun. He is also incredibly unstable and impulsive, which can’t be good for leadership. I would still rather Luke had not failed in teaching the next generation of Jedi, given up, and placed himself in exile. This still doesn’t feel entirely true to his character. Yet, I do love the arc for him in this movie. Setting up Luke as a man who failed Ben Solo and lost everything because of it gives him an excellent redemption arc. Similar to Luke awakening the good in Darth Vader and reminding him of what matters, Rey awakens Luke from his escape from The Force and his role as a legend. 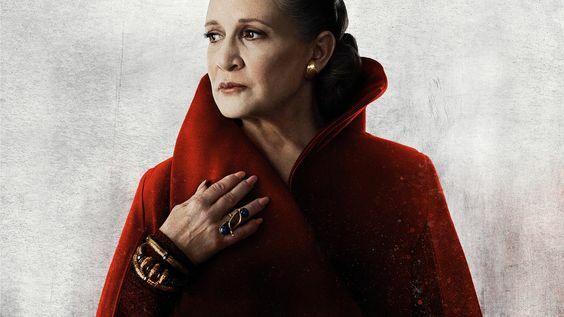 Because she came and reminded him of what is at stake, we have his spectacular arrival on Crait (the red planet). This steadiness and confidence is what was missing. There are no flashy lightsaber gymnastics. There is only a man facing down an entire army. He is buying time for The Resistance to escape and is lighting the spark of hope for The Galaxy to awaken and fight against The First Order. And then his lightsaber battle with Kylo Ren, where he performs Matrix moves! So cool! Followed by the final reveal – he was never there, and Kylo Ren just got owned. He is well-intentioned but short sighted. In the theme of “don’t get cocky,” his cockiness causes a lot of problems. In the end, his decision to pull back and escape to fight another day leads to the chance for The Resistance to survive. Also, his arc with Admiral Holdo’s is great. When Holdo is first introduced, I was not impressed. Then, she shuts Poe down, and, later, sacrifices herself to blow up a dreadnaught. That’s a great legacy to follow. While it was distracting to have established actors like Benicio Del Toro and Laura Dern in the movie, I loved that we had Bencio Del Toro’s Codebreaker. He was an odd character who was staunchly out of the tug-of-war between The First Order and The Resistance. It was refreshing to have someone from the underground, who’s only out for himself. As the new leaders of The First Order after Snoke’s fall, it will be interesting to see how their relationship plays out. I really didn’t like General Hux in The Force Awakens. However, in The Last Jedi, his wussiness is used to build his character, combined with demonstrating he actually is a competent leader. His competence, however, is undermined once Kylo Ren, with his unstable temper, takes over. This pairing will definitely be one to watch in Episode IX. 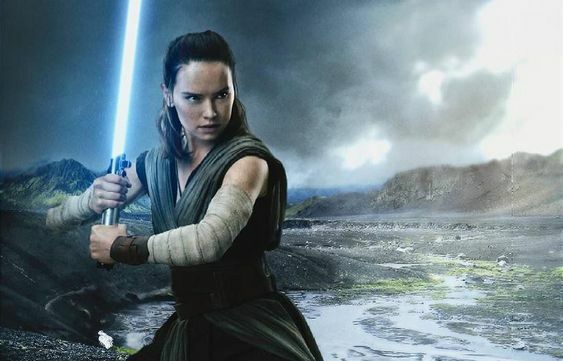 Rey continues to be awesome in this film, and we see the grit she learned from Jakku playing to her strength as she persuades Luke to teach her about The Force. And what we learn about The Force in this movie – a continuation of the theme of balance from The Prequels, how The Force is not owned by one group like the Jedi (another set in the “don’t get cocky” group of this movie), and discovering Force projection/telepathy. Some mentioned disappointment with her Force vision in the Dark Side hole. I thought it worked – she wasn’t afraid of the Dark Side. She was curious and treated it as something that is and should be accepted but not embraced. The scenes where she and Ben/Kylo communicated from across the galaxy were great. The chemistry between the two leads as well as the relationship built in these brief scenes turns us from dismissing Ben/Kylo as a villain and wanting him to turn to the Light Side. At the end of their fight against Snoke’s guards, you want him to turn and go with her. Yet, when he maintains his villanous side, you want Rey to take his outstretched hand when he offers for her to go with him to control the galaxy. A friend joked before The Last Jedi came out that he wanted the movie just to be Rey and Luke having philosophical conversations on the island. We had something close to that film, with Kylo added, for a good portion of the movie. And these parts were much stronger than The Resistance’s story. Rey is the heart and driving force of this film, and her journey is awesome. I’m excited to see where she goes in Episode IX. There is so much to love in this film that this section hurts to write – I wish the below weren’t part of the movie, but… we’ll have to get there. Overall, Carrie Fisher’s final performance as Princess Leia works well. I love when she shoots Poe after he mutinies, and I love the scene where she and Luke reunite for a moment. However, the scene where she is blown into space and uses the Force to float back into the ship doesn’t work. Everything that leads up to her floating in space is awesome – Kylo Ren being torn about firing his lasers, the moment where we feel their connection as mother and son, and the unceremonious explosion ripping out the entire bridge. Then, we have a random Force floating scene where she looks like a flying nun as she returns to the ship. This scene slows down the pacing of the film and is a strange fake-out to the fact that we know Princess Leia must pass on at some point in this movie or the next, since Carrie Fisher’s unexpected death last year. It’s just an odd moment. Captain Phasma, Maz Kanata, and Chewbacca all make an appearance in The Last Jedi, but none of them do anything to drive the story along. I felt the same way about The Porgs – I found them more annoying than integral, versus the Crystal Foxes which were cool and are key to the end of the film. Captain Phasma’s battle with Finn in this film has some awesome, shiny moments and is a lot of fun, but the battle could be with a generic villain. 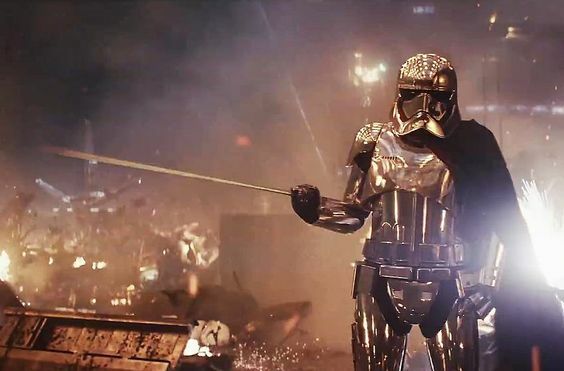 I would love to see Captain Phasma survive and be an integral part on the villain’s team, rather than this trilogy’s Boba Fett (cool armor, no real substance when you start thinking about it too much). Maz Kanata’s cameo via hologram was entertaining but pointless. The information could have been found out many other ways. Chewbacca also didn’t have much to do in this movie. In the Original Trilogy, he might be Han’s sidekick, but he plays a key part in escapes in battles. In this movie, he hangs out at the Millennium Falcon, and is a co-pilot to help Rey as the Millennium Falcon swoops in to save the day. I think he is needed in the film. I just wish he was given more to do. 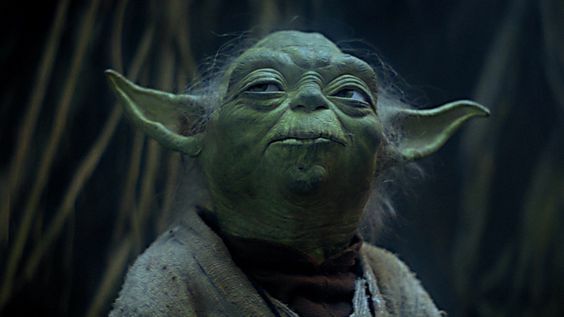 I like that Yoda appeared in the film. I think his appearance was necessary to Luke’s arc and to the main story about The Force. However, his use of lightning to burn down the tree and parts of his dialogue were out-of-character. It was a fun surprise and had the potential to be a great scene. The Starfortress SF-17 is the dumbest design for a ship. It combines the profile of a B-Wing with the hulking easy-targetness of the Y-Wing and adds the stupidest way to drop bombs. Why is the remote separate? Why can’t the pilot drop the bombs from the cockpit? Who designed this piece of junk? Maybe The First Order had a secret plot to sell these ships at a discount to The Resistance? That makes more sense than this design. The stupid design does lead to a great moment where Rose’s sister sacrifices herself for the good of the Resistance. But, her sacrifice is undermined by how dumb this ship is. Also, your plan is to just run out of fuel and hope your people make it? Why wasn’t The Resistance leadership working on another plan while they were staying just out of range of The First Order? Also, couldn’t The First Order of done a pincer attack where they have a ship go to lightspeed and attack The Resistance from the other side? It allowed for a time-crunch in the movie, and didn’t bother me while watching. Afterward, though, I realized that half-the-movie is one of the slowest speed chases ever. This is especially disappointing after the opening where Poe takes out all of the turbolasers on the dreadnaught and BB-8 fixes the ship. 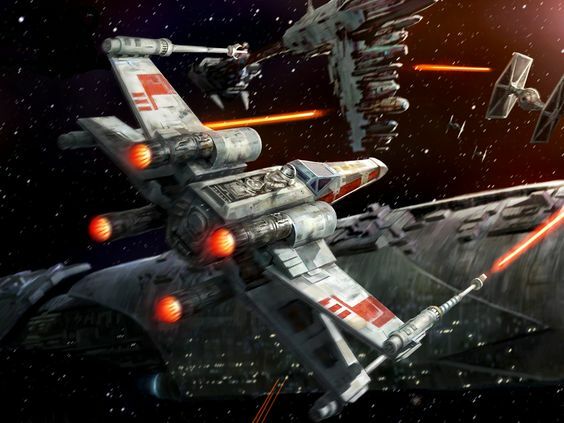 That bit of X-Wing piloting was awesome and makes me disappointed there wasn’t more space battling adventure. Pretty much everyone – from movie critics to fans – agree with this one: The casino planet sequence went on too long and didn’t have much of a point. Not much on the planet changes the movie. 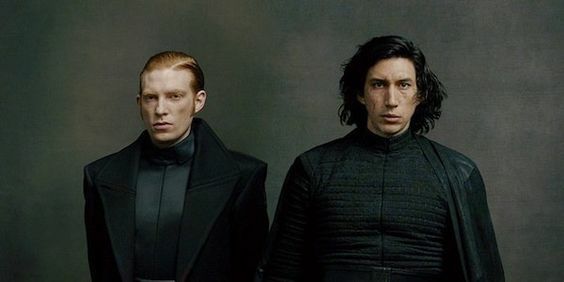 Much of it could be cut, and we could still get an introduction of the fathiers and the children which provide us a connection to the galaxy beyond The Resistance and The First Order. What bothered me more than slow-pacing was how out-of-Star Wars the casino felt. The design, including characters, costumes, and sets, felt too Earth-like. It felt like a combination of James Bond and Harry Potter, and that’s not Star Wars. 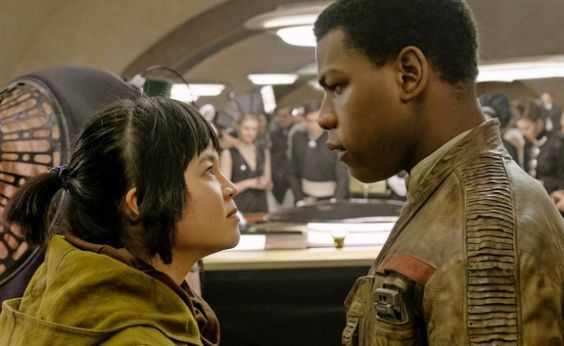 Finn and Rose are both good characters with a lot of potential. Rose’s introduction as Finn is trying to escape so Rey can be safe is great. Their kiss, however, falls flat. I am hoping this weird love-triangle doesn’t go anywhere in the next movie and we can focus on the adventure. I also hope Finn and Rose are given something to do. 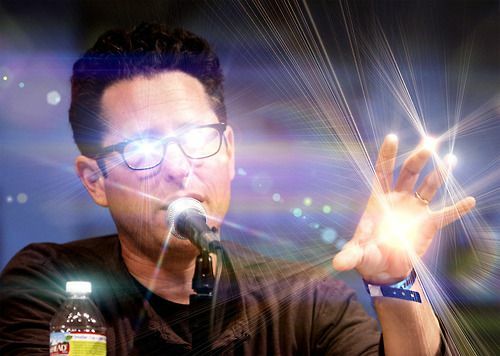 In the great purge of Star Wars Directors of 2017, Colin Trevorrow was dropped from Episode IX and J.J. Abrams is returning for the final chapter of this trilogy. While The Force Awakens played it safer than The Last Jedi, it is also a better film. I think Riann Johnson did a good job as director, but missed a few major marks. However, I also look forward to the upcoming trilogy he is spearheading in the near future. I am not sure how to feel about the change from Chris Lord and Phil Miller directing the Han Solo stand alone film to Ron Howard. While Ron Howard has a strong track record of great films, he seems a strange fit for a Star Wars heist film – which is what I’m guessing this will be. This also doesn’t help the fact that a Han Solo film feels unnecessary. With all that being said, The Last Jedi is a strong continuation of The Star Wars legacy. I’m not sure where Episode IX is going from here, and, as others have pointed out, we cannot fully judge The Last Jedi until the final chapter of the trilogy is revealed. Where do you think the Star Wars stories should go from here? What do you think will happen in Episode IX? If there is an Episode X, should they do something with an “X” in the title so they can include that in graphics? Would you rather have a pet porg or crystal fox? Side Note: Growing up reading every Star Wars book I could get my hands on, I dreamed of a day when the expansion of the Star Wars Universe on the page could be portrayed on the screen. Of the entire growing Star Wars franchise, The Last Jedi is the closest to the slightly-darker, but still sweepingly epic feeling of Timothy Zahn’s original Thrawn trilogy. I really enjoied The Last Jedi, I liked it better the second time through. Really looking forward to seeing how the dynamic between Kylo Ren and General Hux plays out. The last battle (before Kylo faces Luke) with those two both barking orders was awesome, amusing and tense at the same time. I’m also hoping for some Force Ghost Luke in the next film, I need more confident and sarcastic Luke. Force Ghost Luke would be a must. And, the dynamic between Kylo and Hux was great. I don’t think it’s going to end well for either of them. There are many small, niggling things in this film. For me, I think the main one was how Snoke claimed to have connected Rey and Kylo. Like, why would he ever do that? He’s supposed to be a mastermind, but he didn’t consider that they might join forces against him. Ugh, no. I enjoyed the show while watching it, i just don’t plan to analyze it too deeply. I’ve had this post up for about 3 days and trying to find time to write my thoughts. I think most of what you wrote was spot-on. I, too, was disappointed with Phasma. What a shame that they didn’t do more with this cool character that had a lot of potential. My husband HATED the bombers. He thought they were the worst ship ever so why would the Resistance use them? Hahaha. Yeah, he really didn’t like them. I guess I agree from a logical standpoint, but from an audience standpoint and building suspension, they worked. But yeah, pretty dumb because they took you out of the movie by thinking about them too much and how dumb they were. I’m so glad they didn’t mess up Rey’s character. I still love her and think she’s amazing and there are many layers to her storyline. So much to delve into. My favorite character, other than Rey, was DJ. I’d rather have a Crystal Fox, for sure. First, thanks for taking the time to post. Second, I’m glad your husband and I agree on the bombers. The moment was great to build to Rose’s character, but undermined by a poor design. Also, I too would rather have a Crystal Fox. I’m looking forward to Episode IX because of Poe and Rey’s story arcs – these are the most exciting as the story moves forward. Yeah I look forward to Rey and Poe too. I feel like Finn has always been kind of meh. At least in TFA he was the catalyst for the entire movie so his role made sense. I didn’t like him, but he was essential. Now, I hope he has a big role in IX to make up for the lack of one in TLJ. When I thought he was going to sacrifice himself I was like… Oh that makes perfect sense! But nope.